Thursday brought a classic winter day to the Valley floor. Sunshine, temperatures in the mid-50s, little to no wind. But rain likely will return Friday and continue through Sunday. 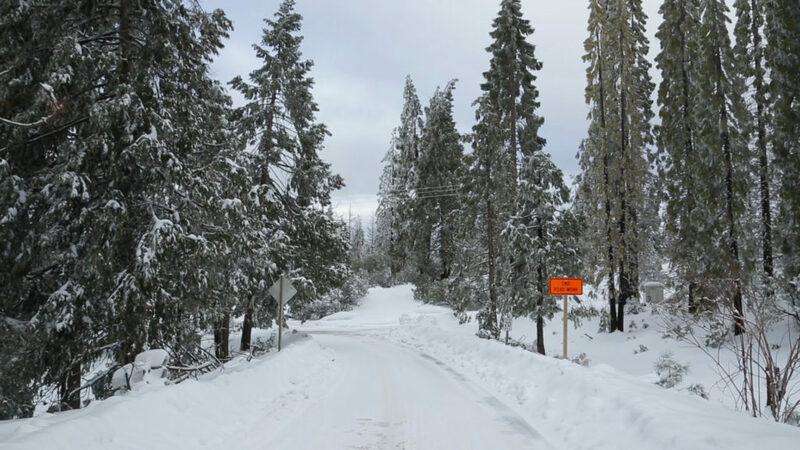 Up in the Sierra, it was a different story, as snow continued falling Thursday. Calling it a “winter wonderland” doesn’t quite do the scenery justice. 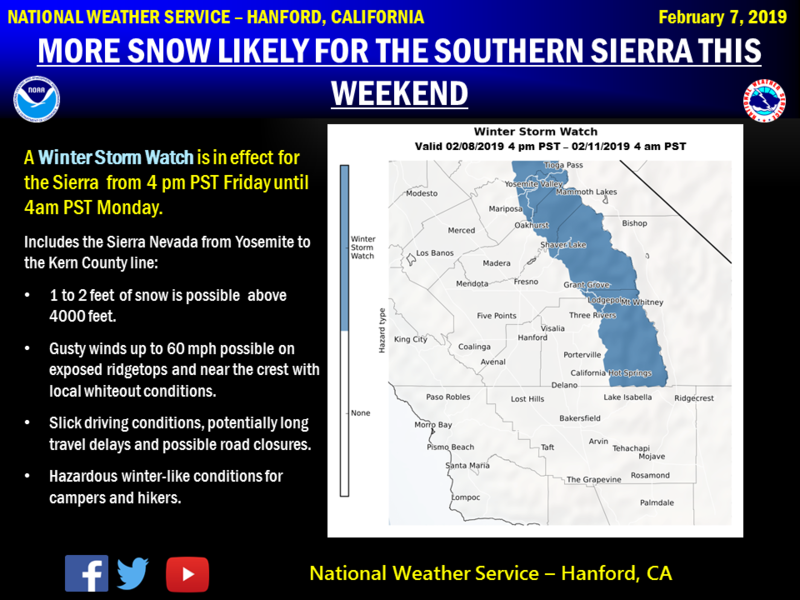 In addition, the National Weather Service in Hanford has issued a Winter Storm Watch advisory for the Sierra from Yosemite to the Kern County line. The advisory will go into effect at 4 p.m. Friday and expire at 4 a.m. Monday morning. Click on the video above to see the snow accumulation along Highway 168. 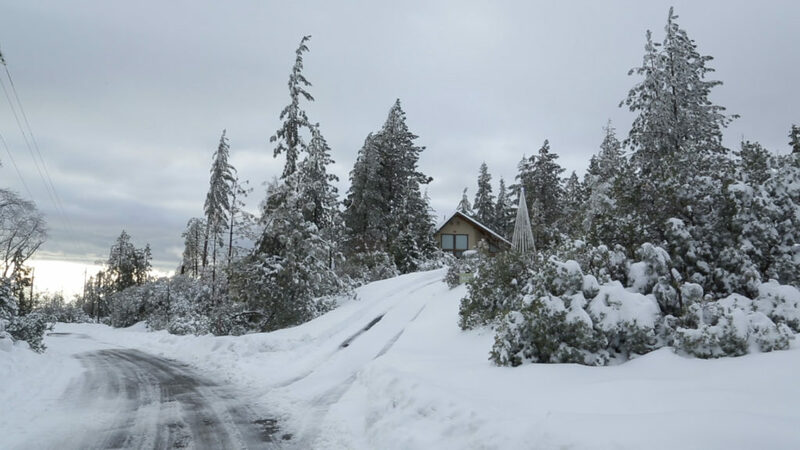 GV Wire’s Jamie Ouverson gassed up her 4×4, packed her video gear and drove to the Shaver Lake area Thursday morning. Here are a time-lapse video and more photos.